IAAO Reception at the Mill City Museum. On Sunday, September 23, 2018 at 6pm (6am of Monday, September 24, Bangkok time), there was a welcome reception of the International Association of Assessing Officers (IAAO) at the Mill City Museum, Minneapolis, MN, USA for the participants of the 2018 IAAO Annual Conference. Dr.Sopon Pornchokchai, President of the Agency for Real Estate Affairs (www.area.co.th) is participating this conference as a speaker. He has been IAAO member for over 20 years. He brought IAAO courses to teach in Bangkok several times too. On many years, he took a group of assessors and local authorities to attend this conference. Mill City Museum is a Minnesota Historical Society museum in Minneapolis. It opened in 2003 built in the ruins of the Washburn "A" Mill next to Mill Ruins Park on the banks of the Mississippi River. 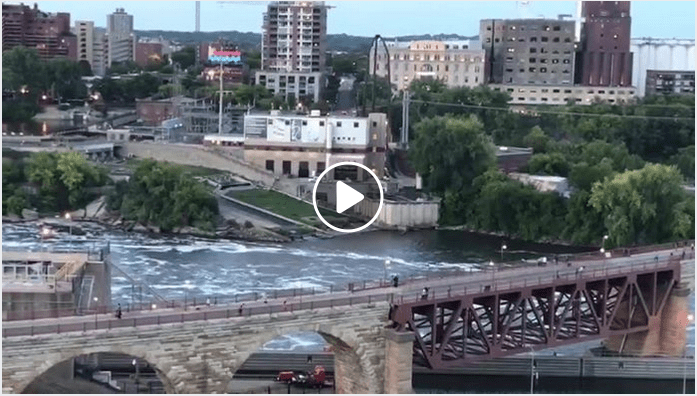 The museum focuses on the founding and growth of Minneapolis, especially flour milling and the other industries that used hydropower from Saint Anthony Falls (https://bit.ly/2PZFVbE).